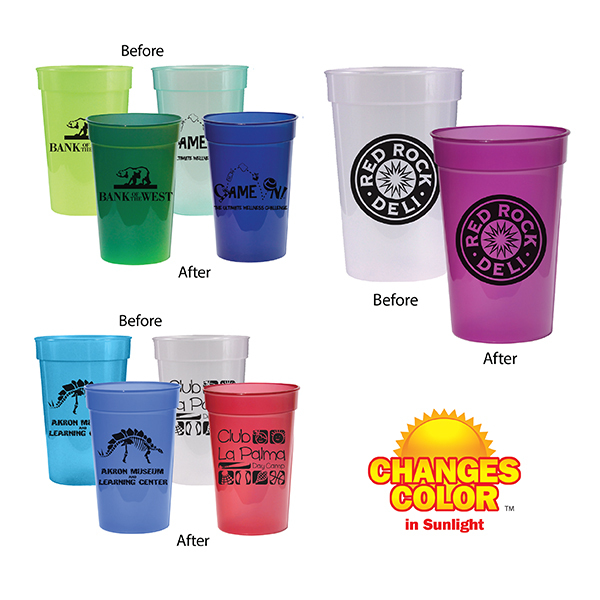 Pricing Includes : A one color silk-screened imprint on one or two sides. Unless specified, orders will be set up as a one side imprint. 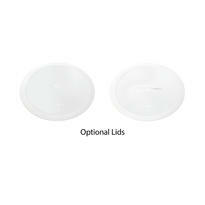 Lid Colors : Standard Lid: Add $.125 (G) per lid, unassembled. Coin Slot Lid: Add $.18 (G) per lid, unassembled. Lid Colors: Frosted only. 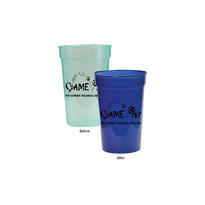 Both lids have straw holes. Imprint Area : 3-7/8" W x 3" H per side. WRAP 8" W x 3" H. Please note wrap will not wrap completely around item. Please refer to imprint area in template. 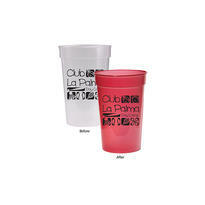 Multi-Color Imprint : Available on one side only. Registration will vary 1/8'' in any direction, making close registration impossible. $45.00 (G) set-up charge per color, plus $0.30 (G) running charge per item, per color, on new orders and reorders. 2nd column quantity break minimum for multiple color imprints. Packaging : 500 per box. Warning : Severe weather conditions may effect the mood change. 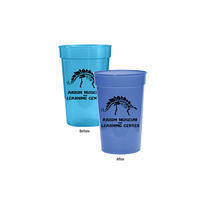 BPA Free : All AAkron drinkware is BPA FREE. 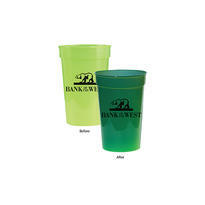 For BPA FREE stickers placed on the bottom of drinkware, add $0.12 (G) per piece. 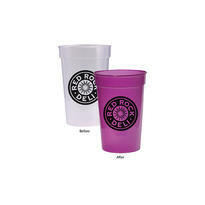 Please Note : Please Note: “Frosted” cups will have a slight color tint and are not a pure frosted color.